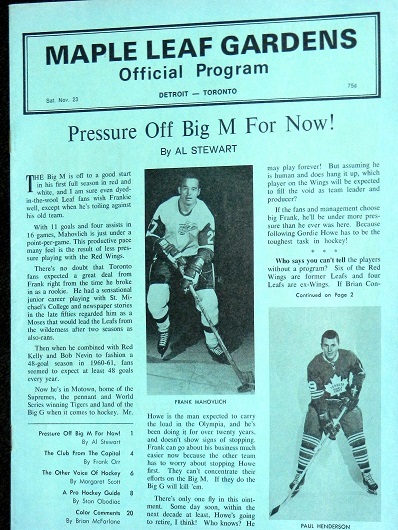 TORONTO (Nov. 22) — If I remember correctly, this was going to be the year the Maple Leafs not only overwhelmed rival clubs with their firepower, but also learned how to limit opportunities in the defensive zone. 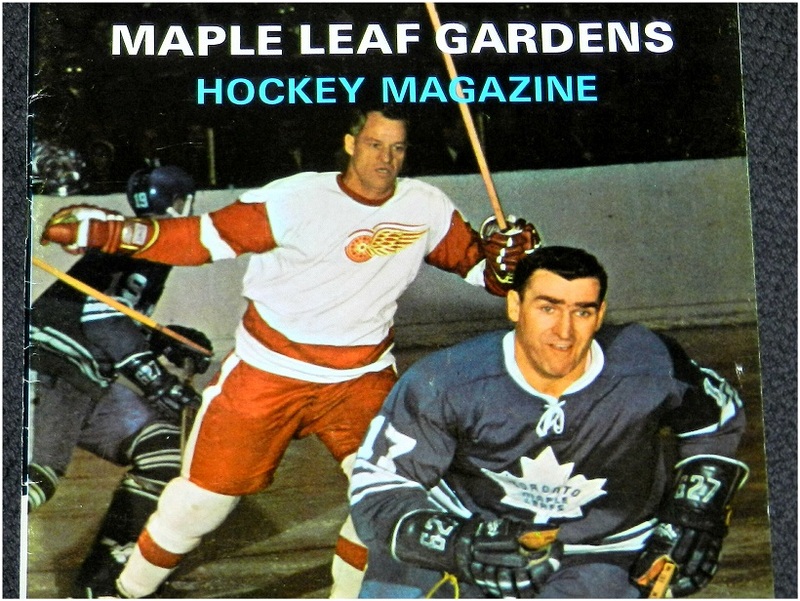 Not surprisingly, the Leafs have scored 76 goals in 22 games — fourth–most in the National Hockey League behind Tampa Bay (83), Ottawa (79) and Colorado (78). Equally unsurprising, however, is that only five teams (Ottawa, Anaheim, Detroit, Chicago, New York Rangers) have allowed, to this point, more shots–on–goal per game than Toronto’s average of 33. Which is essentially a trend–carryover from last season. You might wonder why this even matters, with the Leafs a solid third in the overall standings on American Thanksgiving; having played without Auston Matthews since Oct. 27 and William Nylander since Day 1. The answer is: It probably doesn’t matter… for the regular season. But, once the playoffs begin, it could become a different story. Once again. The reason is two–fold: a) Mike Babcock still believes he should rest Frederik Andersen only on the back end of consecutive–night games. And, b) the coach does not particularly trust his No. 2 goalie. 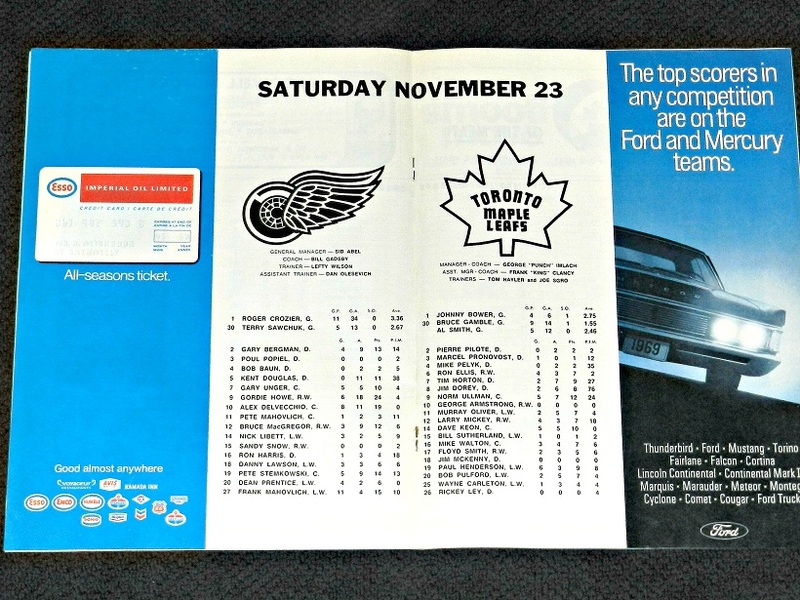 Nor is there much symmetry, on this issue, between Babcock and first–year general manager Kyle Dubas. Which could evolve into an even–bigger issue. What happened at the end of training camp was obvious: Dubas effectively pulled rank and awarded his Calder Cup–winning stopper from last season — Garret Sparks — the back–up role with the big club. Remember how delirious young Kyle appeared when raising the championship bauble of the American Hockey League? That was his team; the Leafs of 2017–18 belonged to Lou Lamoriello, the man he replaced. 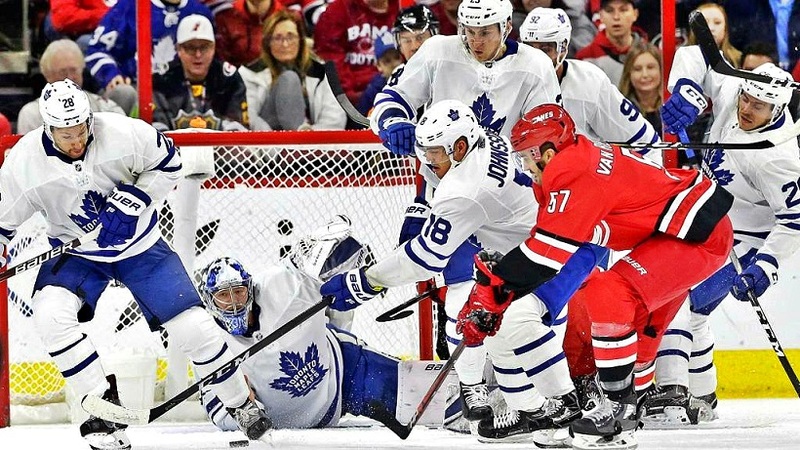 In order to promote Sparks, Dubas had no choice but to expose last season’s Toronto back–up, Curtis McElhinney, to NHL waivers, whereupon Carolina stepped up with a claim. Now, Babcock — a good coach, but stubborn as they come — may well have continued to run Andersen into the ground even with the same tandem as a year ago. But, I can tell you on fairly good authority the coach trusted McElhinney abundantly more than he does Sparks; and is not at all enamored with the decision made by his “junior” boss. Given that Andersen has faced 83 shots in the past two games, including an absurd 29 by Carolina in the first period of Wednesday night’s 5–2 loss at Raleigh, this topic is going to flourish. Unless Andersen is swallowing Amphetamines by the fist–full (and we aren’t alleging that), he’ll again begin to lag sometime in early–March. When that doubtlessly happened a year ago, Babcock ignored it and continued to exhaust his No. 1 netminder. Payback was Game 7 of the playoff series against Boston, when Andersen was on fumes. 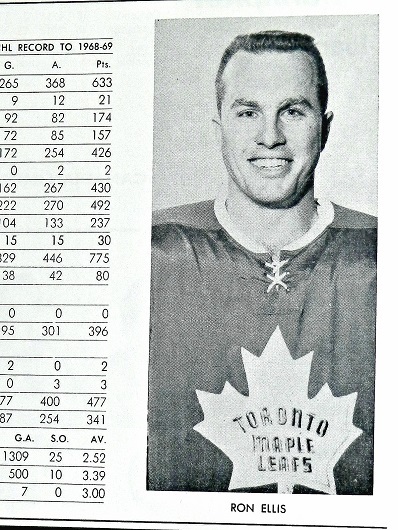 It’s impossible to even imagine how the big Dane would have endured another three Stanley Cup rounds. 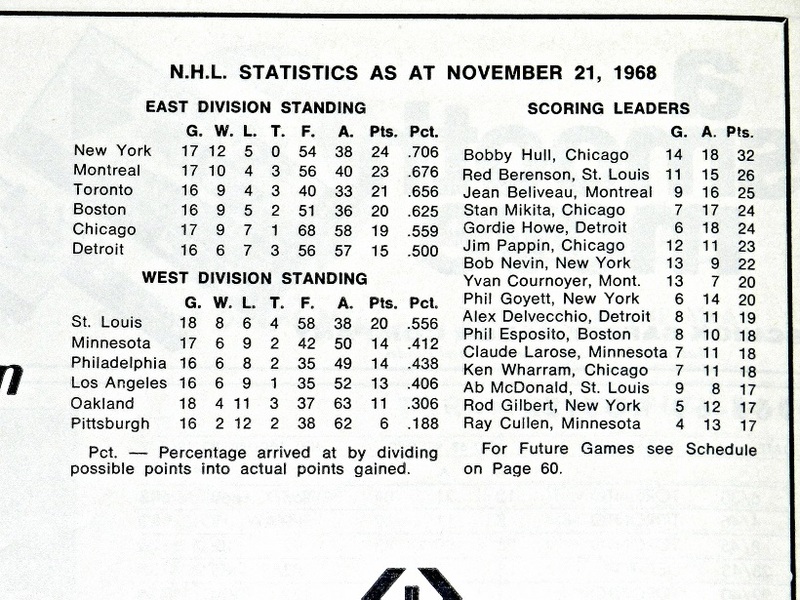 As such, the franchise record of 105 points meant virtually nothing; it was window–dressing. 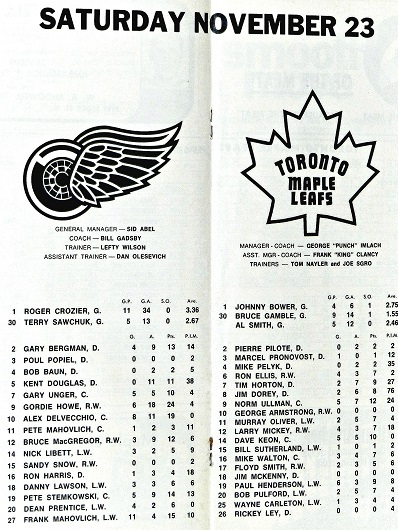 The Leafs, therefore, have two options: Continue to look pretty between October and April… or plan during that six–month frame to be prepared for the most–oppressive playoff grind in professional sport. This particular Toronto team cannot do both; it isn’t sound–enough defensively. If Babcock again starts Andersen in 60 to 65 games, the Leafs will fall well–shy of their lofty ambition. The coach must somehow be coerced into sacrificing a point or two in the standings every so often in order to provide Andersen even a hope of lasting four playoff rounds. With the current goaltending tandem, however, that simply will not materialize. Nor is this remotely an indictment of Sparks, who may–well be of NHL caliber, at least in a support role. But, we’ll likely never know here in Toronto. Sparks doesn’t have Babcock’s trust… and the veteran coach is almost–certainly bent on showing the rookie GM who the real boss is when deploying a line–up each night. 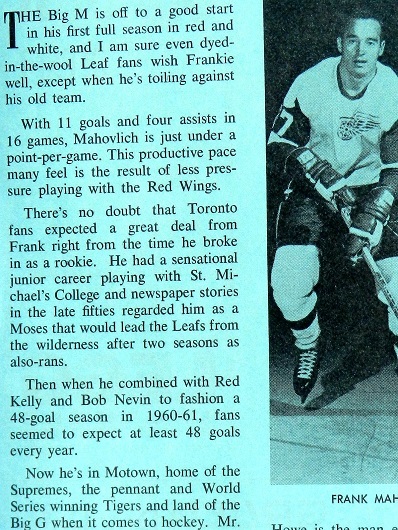 Neither of which helps the Leafs, in any way, toward their ultimate goal. 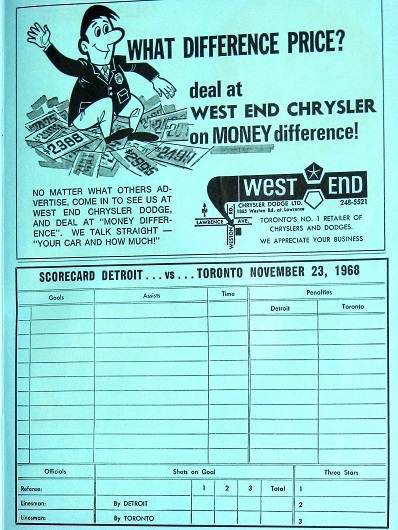 In my view, Dubas had better park his ego and provide a No. 2 goalie his coach may consider utilizing more often. Otherwise, the Leafs and their fans will again watch the bulk of the Stanley Cup tournament on TV. 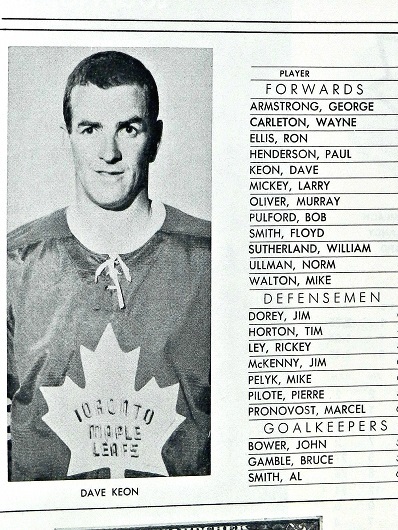 FOUR MEMBERS OF THE 1967 LEAFS STANLEY CUP TEAM WERE WITH THE RED WINGS IN NOVEMBER 1968: GOALIE TERRY SAWCHUK (AFTER ONE SEASON WITH THE EXPANSION LOS ANGELES KINGS); DEFENSEMAN BOB BAUN (WHO PLAYED MOST OF 1967–68 WITH THE EXPANSION OAKLAND SEALS); PETE STEMKOWSKI AND MAHOVLICH (ACQUIRED FROM TORONTO IN THE SAME BLOCKBUSTER DEAL — ON MAR 3, 1968 — FOR NORM ULLMAN, FLOYD SMITH AND PAUL HENDERSON).